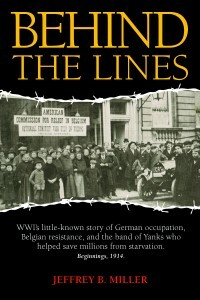 During World War I, the Commission for Relief in Belgium (CRB) initiated, organized, and supervised the largest food and relief drive the world had ever seen. More than 9 million Belgians and Northern French trapped behind German lines were saved from starvation during four years of the Great War. This nonfiction book follows a handful of young CRB delegates, a twenty-two-year-old Belgian woman, two U.S. diplomats, the head of the CRB, and a Belgian businessman and a Belgian priest who team up to fight the German occupation.